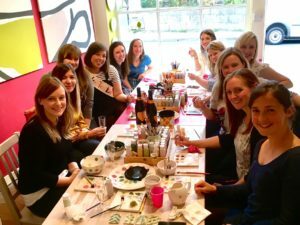 Hen party in Bath with Crockadoodledo is not only fun and relaxing, but also a great creative activity for such an occasion, at the same time providing the hens and the bride-to-be with a wonderful memento of the hen weekend. 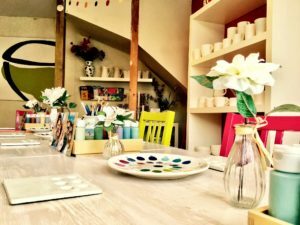 You don’t have to be particularly artistic, as we have plenty of creative tools and ideas to help you create a masterpiece. The capacity in the studio is a maximum of 22. We suggest you allow a couple of hours to paint and you are welcome to bring any bubbly, wine, cakes etc, and tea, coffee and soft drinks are available in the studio. The pottery is then glazed and fired, and will be ready to collect a week later. If you are not local, we can post it to you or you can arrange for a courier to collect it. We will wrap your items safely to ship however please note Crockadoodledo do not hold any responsibility of postal breakage. Hen party guests are welcome to bring food and drinks to enjoy whilst paint. We recommend bring along Prosecco and strawberry 🍓. 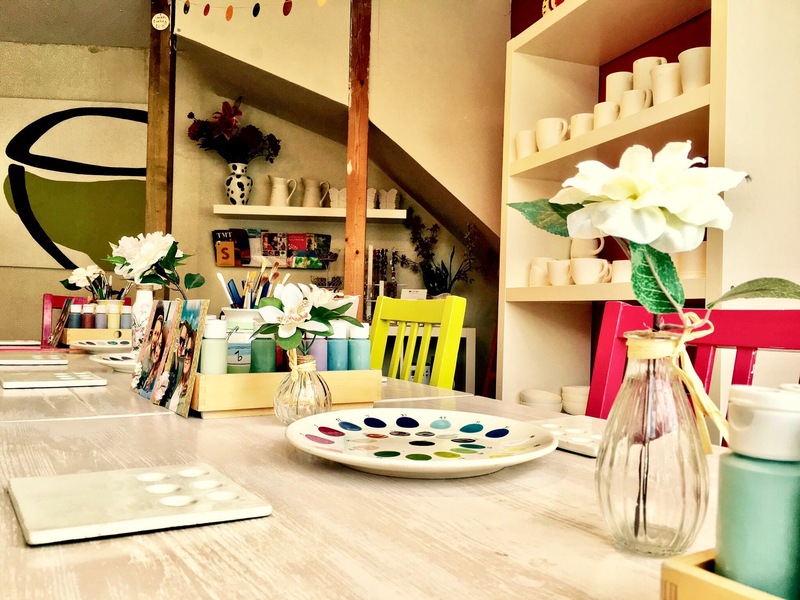 Please note our studio space is limited and therefore please prepare something simple and easy to manage. What will it cost? 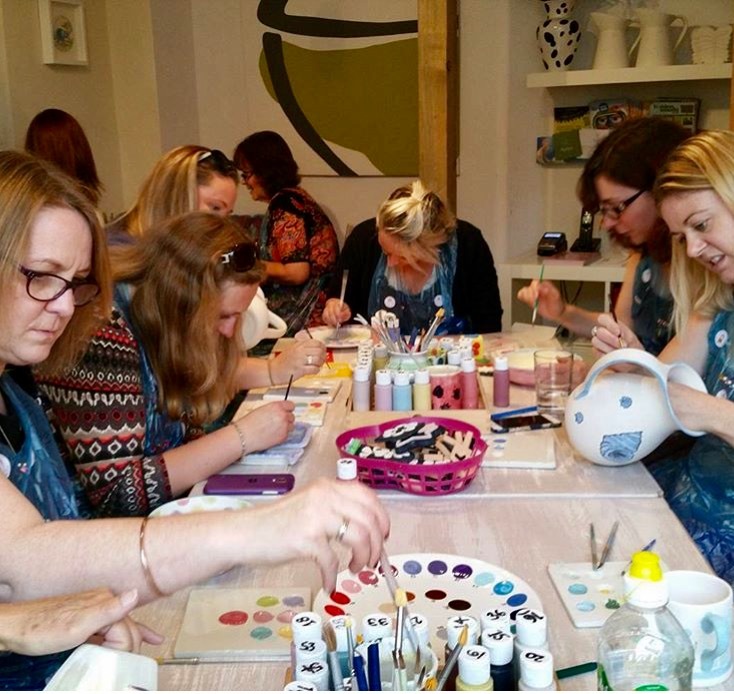 A £5 studio fee per head which covers paints, glazing and firing. Pottery price rage starts from £3.50 up to £40. Every month we have ne w stock and we offer varies of choices for you to hand pick from our selection. Please note all booking we require studio fee as non-refundabledeposit. If you need to increase number of your booking please inform us 20 days prior to the event. Private hire is available, please email us for more detail.